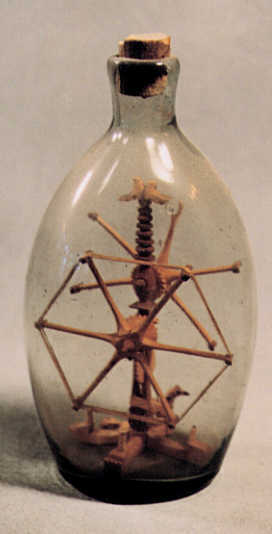 The intricate construction inside this bottle has two yarn winders with gear-like wheels attached to a central turned pole. One of the winders has thread on it. At the top of the pole are two birds, and two more birds are at the bottom.